If you didn't find anything to suit your needs at the BeautyTicket.com MegaSale, or they ran out of product right before your eyes, here's another cosmetics deal to indulge in this week: Sephora is having a sale that's on sale. In other words, Sephora is giving online shoppers an extra 20% off all sale merchandise through 11:59pm PST on Saturday, January 1. The offer is limited to purchases made at sephora.com, using code EXTRA at checkout. Snag your favorite seasonal items like Philosophy The Gingerbread House bubble bath for $12 (originally $20) or splurge on a gift set like the Tarte Bombshell Eyes Collection for only $38. Originally $83, the kit includes Lights, Camera, Lashes! Mascara, EmphasEYES™ Inner Rim Eye Pencil in Black, Chocolate, Bronze, and a shimmering pouch. Don't hesitate to fill up that cart. Spend $50 or more and receive free standard shipping. Otherwise, pay a flat rate of $5.95. You'll also get 3 free samples, plus the chance to return your order at no cost if your needs still aren't met. It's quite difficult to walk out of Kohl's without a deal, and this weekend it's nearly impossible. The department store is offering a 3-day New Year Bonus Pass for 20% off everything in the store. The coupon includes full-priced, sale, and clearance merchandise purchased in stores December 30-January 1. Savings do not apply to online or previous purchases. I'm crossing my fingers to track down this Simply Vera Vera Wang Sateen Crop Jacket, marked down to $46.99 from $68, and only $37.59 with the additional discount. Print your shopping pass and start saving stat! Ready for some pre-spring cleaning and reorganization? Give your space a facelift with 20% off all full-priced merchandise at Restoration Hardware, with coupon, through January 4. To shop by phone or online, use code RPVT111 at checkout. Looking for bigger savings? Save up to 60% off in the sale section, with an additional 10% off through February 2. Use code RHSAV11 at checkout. Both samples should arrive within 4 to 6 weeks. According to Real Simple magazine, the shelf life of nail polish is one year, and only three months for mascara. Sounds like a good excuse to shop BeautyTicket.com, not to mention the 50% off you'll save in the Year End MegaSale right now. BeautyTicket.com is an outlet website selling cosmetics and skincare that is discontinued, seasonal, or has new packaging. Through January 1, 2011, the entire site of already-reduced merchandise will be automatically reduced to half off with code NEWYEAR50 at checkout, that is, if everything doesn't sell out. I've already seen two items I wanted vanish right before my eyes. A flat rate 0f $6.95 for priority shipping applies to all orders, or $8.95 to require a signature for delivery. I'm testing out the neutral nail trend with Yves Saint Laurent Fortifying Natural Nail Lacquer in "Ceramic Beige," marked down to $10.99, then $5.49 after the discount. That is, if it doesn't disappear by the time I finish this blog. Affordable and Anthropologie aren't typically seen in the same sentence, unless you’re shopping this week. You read it right, the store otherwise known as heaven on earth is actually affordable this week, with an extra 25% off sale merchandise through January 3, 2011. This is a rare opportunity, so jump on it. Either that or I'm dreaming. Find lovely indulgences from clothing and accessories, to kitchenware and bedding, plus big discounts on festive holiday décor for next year. The extra 25 percent is taken off the lowest marked price, in stores and online at anthropologie.com. I wouldn’t mind snuggling up in this Outer Hebrides Capelette, marked down from $158 to $79.95, to a final price of $59.96. If this is a dream, I don't want to wake up. A procrastinator at heart, CVS (previously Longs) is where I end up on Christmas day, since it's typically the only store open other than 7-11. Overspending on rinky dink gifts is the usual punishment for waiting so long, but not this year. ExtraCare Reward members who like CVS on Facebook by December 23 can print a coupon for 20% off their entire purchase through December 26. There's no doubt that winter is here, causing our fashion priorities to suddenly shift. Jackets and coats are high in demand, and today's the day to buy. Why? 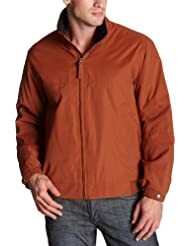 Amazon is offering 75% off outerwear for one day only. Yes, I said 75% off. And here's the icing on the cake: Free super saver shipping and free returns. Choose from men's, women's and childrens outerwear, from rain jackets to wool coats. This is the time to shop for that Mister on your list—Perry Ellis coat markdowns are in abundance, such as this Microfiber Blouson marked down to $29.99 from $120. Got a stylish little one on your list? Pottery Barn Kids is your spot, especially now that they're offering 20% off any single item. Big kids can receive the same savings at Pottery Barn for one day only. Here's the deal: Like Pottery Barn or Pottery Barn Kids on Facebook, then print your coupon to redeem at a Pottery Barn or Pottery Barn Kids store near you. This offer is valid on December 18 and 19 only, and is not available online. While you're at it, save 20% off this PBK exclusive shopping cart on Saturday only, then grab another item with your 20% off coupon. Ka-ching! One of the main goals of a brand is to build a strong customer base. 7 For All Mankind, the high-end, high-quality jean brand has achieved just that, so much that when there's a sale, loyal fans come in herds to devour their beloved denim. Now is one of those special moments when 7 For All Mankind is offering 40% off online purchases. The discount excludes sale merchandise, new arrivals and basics. Enter code Winter10 at 7forallmankind.com and take advantage of free 2-day shipping via FedEx. Now, brace yourselves, this sale is on through December 30, giving you plenty of time to decide on the perfect pair, or ten. The mad holiday rush has hit the stores, with retailers offering their deepest discounts. Alas, last-minute shoppers are being rewarded for their procrastinating behavior. Hallelujah. Save 40% off all sale merchandise, with coupon in stores and online at juicycouture.com, plus free expedited shipping. 30 to 50% off everything, through December 23. 20% off entire purchase, in stores with coupon, and online at payless.com with code 40856, through December 19. 30% off everything in stores and online at express.com on Saturday, December 18 only. Savings will apply automatically at checkout. 30% off all full-priced apparel and 40% off all coats in stores and online at betseyjohnson.com, through December 25, excluding outlet stores. One of my favorite holiday traditions is the Christmas stocking. The imaginative days of Santa filling it may be long gone, but it's still one of the most personal gifts to receive. The perfect example of smaller being better, it happens to be the ideal gift for a bargainista. Remember all those samples you've been collecting all year? Hello, stocking stuffers! Here's one to grab while out shopping this weekend: A free sample of Island Escape 2 oz. body lotion from Bath & Body Works, valued at $3.50. Choose from Bali Mango, Hawaii Coconut, or Fiji Passionfruit, in stores December 17-19. Or, order your sample online with code FBF103604, but you will have to pay for shipping. Need more to fill the sack? Grab a sample of Hand Relief at Aveda, a free Too Faced mascara sample at Sephora inside JC Penney, and a free Beautiful Eyes Kit for your birthday at Sephora (say you forgot your ID or didn't get one on your birthday). Stuff away! The Friends & Family sales continue in full-force this week. Here's a list of storewide and sitewide sales to pass onto your BFFs. Load up on gifts without breaking the bank, but do so before it's too late! Know of more Friends & Family sales this week? Leave a comment below or send me a message and I'll add it to the list. One of the most giving companies out there just keeps on giving. Not only does TOMS donate a pair of shoes to a child in need for every pair purchased, but they are thanking customers with a handmade friendship bracelet. The story goes like this: Four years ago, TOMS founder Blake Mycoskie made his first shoe drop. A child tied a bracelet to his wrist in thanks, which remains there to this day. Now, Mycoskie wants to pass along a friendship bracelet to supporters. His goal? To serve as a daily reminder of the joy such support can bring to a child in need. Order your own friendship bracelet at toms.com/bracelet and pass it along to a friend. Then, join the One for One movement, by buying a pair of TOMS shoes to have another donated to a child. Like Mother Theresa said, "If you can't feed a hundred people, then just feed one." Or, in this case, feed them a pair of shoes! The point of makeup is to look like you're not wearing makeup, but better. That's where Bare Escentuals steps in. Share the love of mineral makeup with an extra 20% off purchases in stores and online through Sunday, December 12. Use code GETLUV at bareescentuals.com or print the coupon for use in a Bare Escentuals boutique near you. Shipping is free for orders of $50 or more. Your skin will thank you for it. To Puma or not to Puma? Not even a question, considering that it's Friends & Family sale time, with an extra 40% off everything at puma.com. Use code FRPUMAJUST4U at checkout and enjoy free shipping through Wednesday, December 8. I'm digging these Arayla Sequins shoes for $60, down to $36 after the discount. Not bad, eh? Guilty or not guilty? Guilty? Right answer! Order a free sample of Gucci Guilt fragrance, without having to plead your case. Visit Gucci on Facebook to order a sample of the new "scent of defiance," an oriental floral scent of mandarin and pink pepper, with middle notes of lilac and geranium, laced with peach. How does a cupcake shop celebrate its 5th birthday? With free cupcakes, of course. Bay Area residents can stop by Teacake Bake Shop between 1 and 3pm this Saturday, sing happy birthday, and receive a free mini cupcake. OK, you don't have to sing, but you will get a delicious cupcake! Thanks to LeeAnne from artfaithlove.com for the heads up! You know I'm a coffee lover when I post two blogs about it in a row. HOW COULD YOU NOT LOVE COFFEE? Oopsie, maybe I had a little too much caffeine this morning. Cost Plus World Market follows up its week of incredible deals with Wake-Up Wednesday. Buy 1 bag of coffee and receive a second bag free on Wednesday, December 1. World Market Explorer members will receive double credits towards free coffee in the future. While we're on the topic of caffeine, make sure to order your free sample of Seattle's Best Coffee Levels before it's wiped out. There's a new line of packaged coffee in town, but the brand is nothing new. Seattle's Best, a.k.a. the "other Starbucks" has announced a new line of store-bought brew to include levels—5 blends of coffee that vary by strength. 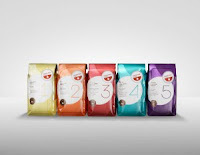 The system makes selecting coffee "as easy as 1, 2, 3." As the numbers increase, the coffee gets stronger. Level 1 is mild, light, and crisp, Level 2 is bright, lively, and easy drinking, Level 3 is balanced, smooth, and full-flavored, Level 4 is rich, elegant, and complex, Level 5 is bold, dark, and intense. In addition, there are decaf and whole bean versions of Level 3, a fair trade/organic version of Level 4, plus cinnamon and hazelnut flavors to complete the lineup. Now, that's a lot of levels. Like Seattle's Best on Facebook and take a brief quiz to find the level that's right for you. From there, order your free sample, which will arrive within weeks. If you happen to be planning a trip to Walgreens this week, make sure to plan it for Wednesday. December 1 is the only day for the Friends & Family sale, with 15% off eligible products or 20% off Walgreens and W brand products. So, what is "eligible?" Let's start with what isn't: Prescriptions, cigarettes, dairy products, liquor, phone cards, newspapers, magazines, stamps and gift cards. Ummmm, what else do they carry at Walgreens?? Just kidding, there's plenty of essentials to save on, like gummy bears and tweezers. Print the coupon for use in stores or send it to your phone by texting "HOLIDAY" to 21525.